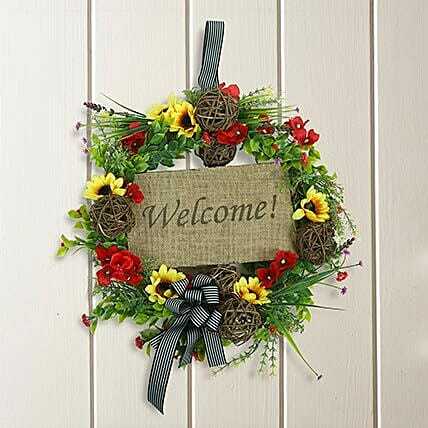 A wreath is generally used as a Christmas decoration item. So, if you are done with the cleaning and renovating your home, it's time to order a beautiful wreath like the one shown here. Made from artificial leaves, colorful flowers, and Lata Balls, this one would be a beautiful Christmas décor idea.